I don't think Megs or Harry leaked this one the Sun being messy. I don't know why the story was leaked but since the Murks makes such a big deal of showing in public how close and touchy feely they are and she did go pregnant on a massive overseas tour that she would want people to know why they are separating for this trip. It is just that zika did not stop her before so why now? Actually it makes perfect sense that Harry does some tours without her and she is father along in her pregnancy which she did say she is tired as well as zika. That I know of this, this is his second African trip away from her since marriage. Funny, their second date was in Africa I thought or close to it and they went on a pre-honeymoon to Africa before announcing their engagement. She was SOOOOOOOOOOOOO involved in Africa which is one of the things she used to hook him as they have so much in common. Now she's ditched the place for the time being as is her M.O. once something loses its value to her, OR...… Maybe he has some business there that she is not allowed to be around, and that could be almost anything. I have an active imagination so I won't speculate but it may not have to do with another woman necessarily. I have a theory but I will keep it to myself. Anybody with just the minimum study of the royals should notice that royal couples do go on separate tours. William and Kate have done so and it's standard procedure. Sometimes thought there are "projections" that something is "wrong." It is not a case where they go to separate weddings which I admit would seem puzzling (e.g. Will going to Jecca's and leaving kate). But official royal tours have specific protocols and Harry is the one going. In future, Meghan very likely will have her turn to visit another country on tour without Harry. I would not say she ditched Africa based on Harry being officially sent on this tour. It is plain and simple that Harry was assigned this tour in advance and it is no slap to Meghan or to Africa. My take on it. I agree with Fly that The Sun was reckless to say that Meg not going to Zambia was because of Zika. It was disrespectful to the country since they are not one of the countries with a Zika warning anyway, that-a would be Tonga and Fiji and she already went to those with no problem. 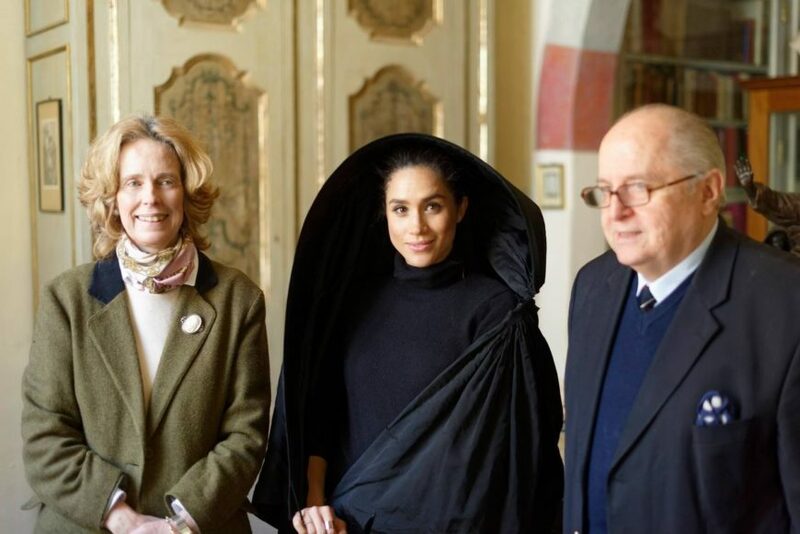 The press should also know, as we all do, that royal couples go on separate tours. The press is just so eager to talk about Meg that the fact that she is not going on a tour for them to talk about her mannerisms and fashion is driving them crazy. I wonder which country will be Megs' first solo tour? Will it be an African or Caribbean commonwealth country? Or is that too obvious that she would be sent to a country with brown folks for her first solo tour? @Sandy You have a point, but she didn't go the last time and I believe that she has shown up at things Harry had pre-scheduled prior to their marriage/engagement. So if she wanted to go, she would have demanded it and gone. I do think to her defense on this that doing another tour pregnant is hard and she will not want to look fat in front of the cameras so often so she will be less seen deliberately until she delivers IMO. That is part of her vanity. Sometimes demanding is not enough. The calendars are set and there is very strict protocol. There is proof if they come out and say them publicly. And there have been some real howlers from the royals over history. Meghan Markle was still relatively unknown to the British public when she and Prince Harry stepped out hand-in-hand as a newly-engaged couple, exactly a year ago. And now, experts have revealed how the former actress has gone from being Prince Harry's 'in-love' fiancee to showing her strengths as a confident public speaker and empathetic Duchess over the past 12 months. Body language expert Judi James explained how Meghan presented herself and Harry as 'the new Hollywood-esque power couple on the block', as they posed for photographs outside Kensington Palace this time last year. She described how the Duchess has since developed from a royal 'newbie', joining the Queen on an engagement in Cheshire just a month after her wedding, to a 'passionate' and effective campaigner in her own right. CHarles did not invite Jobson to watch him and listen to all he said. He is not an insider. Junor is the one closest to Charles and Camilla. Writers do make things up or embellish. I think Jobson is one of them. The quote was about Meghan and had nothing to do with the Queen. That Meghan quote was about the 'queen's row', no? Junor is the closest, she actually vacationed with Camilla and they are seen together socially. She wrote the landmark Charles Victim or Villain over twenty years ago and continued her support of CHarles with many books since then. Didn't the alleged Queen's row story get printed in the DM> Jobson wrote whatever Meghan wants Meghan gets claiming Charles said it. I doubt she would get in a "row" with the Queen. That sounds very far fetched. Meghan is shrewd enough not to do that. And she did have a nice tiara. Social media is how you reach people now, not with books. Megan's SM games should be a clue to brf where things are happening now. Her PR is also fuelling how important she thinks she is with lines in the new Charmed show.